This small gem was painted as part of a group gallery show, featuring small paintings. We were given a theme word and then asked to create a painting. 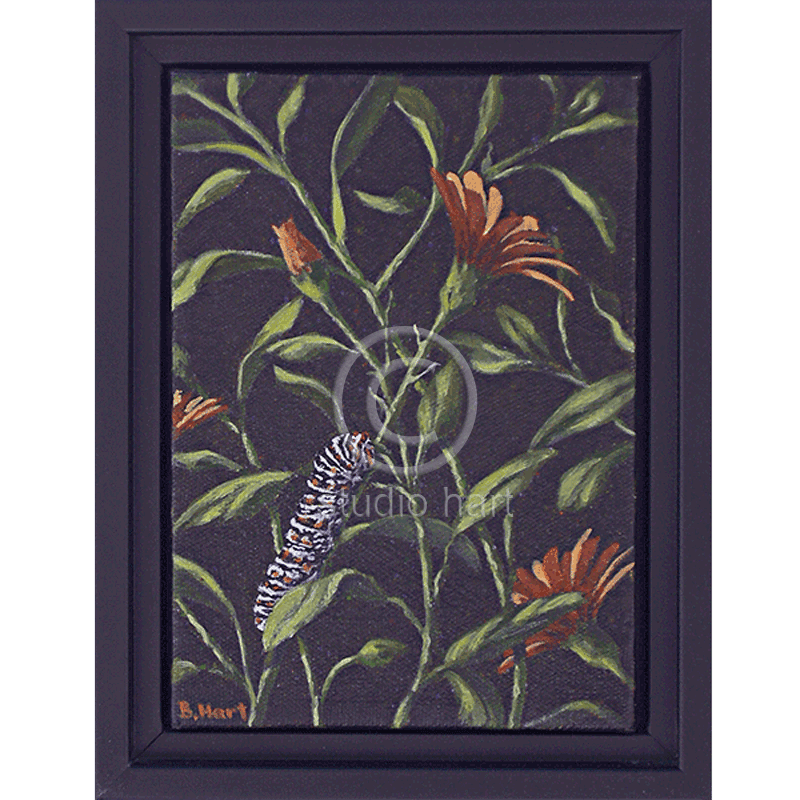 The word for this was “herbivore.” After finishing my painting, it was pointed out by my sister in law, that monarch caterpillars do not eat flower leaves, oh well. Artistic license I guess.